Short Intro. I believe that passion is most powerful communicator. Hello, allow me to introduce myself, my name is Jay Sosa. As a Sports enthusiast, Communications and Business Operations scholar, I have developed a thirst for knowledge and personal growth by means of reading and sharing information. I often find myself inspired by those who have accumulated success through genuine and passionate communication. Where Have I Been? I am a recent Baruch College graduate with a Bachelor's Degree of Business Communications and Operations Management. While attending Baruch I worked on several projects including a Consumer Behavior Research for Target, and a Media Planning Project for Dr. Pepper. Moreover, I interned at an event company as an assistant to the founder and CEO. I also co-founded the Absolute Adrenaline Sports & Business Club, which was awarded "Best New Club" and "Most Popular Club" of the year. Where Am I Now? Presently, I work for Tommy Hilfiger Corporation where I juggle several hats including Communication Coordinator, Logistics Strategist and Administrative Associate. In addition, at the beginning of 2016, I joined COOP Digital Marketing program to gain pivotal knowledge of digital media skills such as SEO, SEM, Google Analytics, Paid Social Media(Facebook) and Media Planning. Where Am I Going? In the near future my purpose is to combine my Communications, Business Operations and Digital Media/Marketing skills to optimize the bottom line of a distinguish organization, in route to an executive position. Furthermore, a few years down the line, I look forward to help COOP evolve to a national program, as well as explore my opportunities to become a business owner. Why do you like this company? What makes them special? Is there a leader at this organization you really admire? 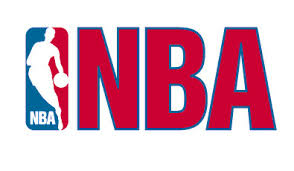 I like the NBA since Sports is my passion and basketball is my favorite sport. In addition, there are many athletes and business professionals that I admired from the company such as Michael Jordan and Jerry West. Why do you like this company? What makes them special? Is there a leader at this organization you really admire? Bloomberg's wealth of data, insightful content and exceptional fast delivery of financial information is what attracts me to the company. Michael Bloomberg, the founder of the company, is one of the most acclaimed business men and I feel inspired from his success. Setting the stage. About three years ago, when I was a sophomore at Baruch College, my friend Peter and I co-founded a program called Absolute Adrenaline Sports and Business Club along with other friends. The beginning. Though we recognized the school had great business club, we felt there was a lack of club that also had fun activities for the students. We decided to talk to with students and faculty around to get some feedback about our idea. The result was overwhelmingly positive! Peter and I were very excited about the since we were attending a business school and were also avid sports fans. The middle. Consequently, we decided to proceed with the process as Peter took charge of getting the club approve with the school and student government, while I took charge in marketing and publishing the events we were planning to put together. Indoor activities such as dodgeball and basketball games, and outdoor events like paintball and rock climbing. The End. Absolute Adrenaline is now in its fourth year at Baruch and continues to be a popular club for all students, especially the ones who don't want their clubs to be narrow down to just business activities. Reflection. When I look back there are several reasons I am extremely glad we started AA. One being the feedback I continue to receive about the club when I visit the school. I also feel as though we built and established an area of need at the school. Most importantly, we had unforgettable memories and I met some of my closest friends through to this day through the Absolute Adrenaline Club.